Underbelly is a UK-based live entertainment company that runs several festivals and events across the country. Underbelly understands that the events that it manages have environmental, social and economical impacts. It is therefore committed to the development, implementation and continual improvement of a sustainable event management system to minimise any negative impacts of its operations. Underbelly’s approach is to embed sustainable management principles across all events for which it is responsible. Integrity & Ethical Behaviour: To act ethically and with integrity in our event operations with regard for the law and without bias, including in our dealings with our employees, customers, suppliers and towards society and the environment. Inclusivity & Accessibility: To produce high quality events that are inclusive and accessible to people of all ages, backgrounds and abilities. Environmental Performance: To minimise the impact of events on the environment. Collaboration & Transparency: To collaborate and build relationships with stakeholders and the general public and to ensure that all stakeholders have access to all relevant information about event operations. Legality: To meet and exceed all applicable legal and regulatory requirements in all activities. Stewardship: To show leadership and best practice in sustainable event management. Underbelly is committed to continual improvement and will monitor its performance against agreed sustainability objectives. If you don't live in London consider the most sustainable way to travel here and back home. Make use of public transport where possible. Walk to and from the events when possible. Most of our events take place in the heart of the city and are easy to travel to by foot or cycling. Dispose of your waste responsibly by using the recycling systems in place. Recycle any Festival brochures or leaflets when you are finished with them. Reuse cups at the bars and food outlets as many times as you can. Visit our website, or sign up to our Facebook, Instagram and Twitter pages for event updates so we can reduce the amount of print material we produce. 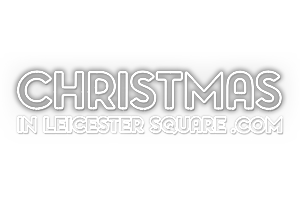 Tell all your friends about the importance of helping us with all of this to reduce the impact Leicester Square Christmas has on the environment. If you have any other ideas on how to make Underbelly Festival greener, please feel free to share them with us by emailing sustainability@underbelly.co.uk or by filling out our feedback form!